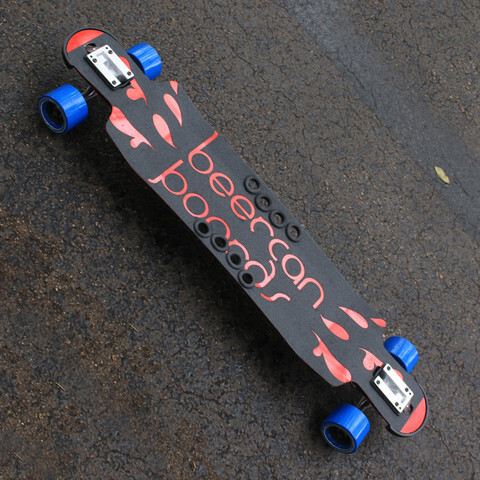 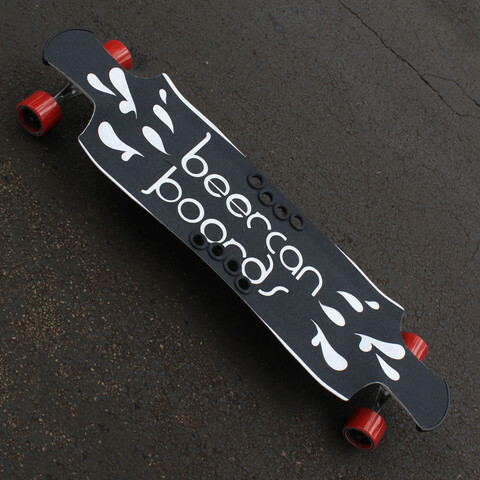 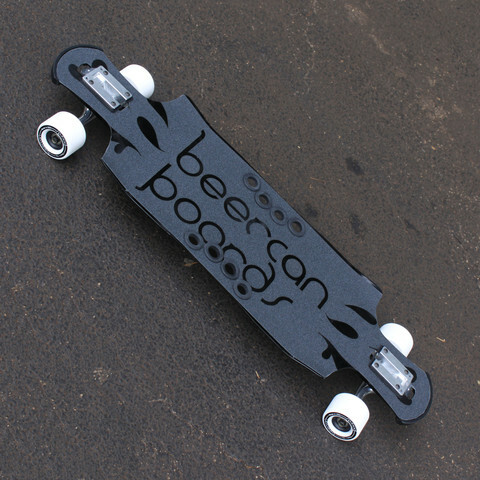 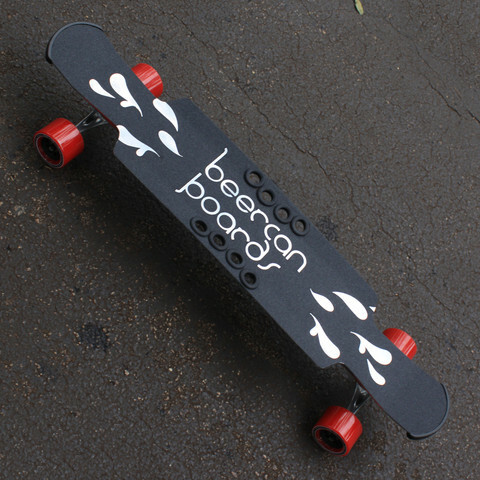 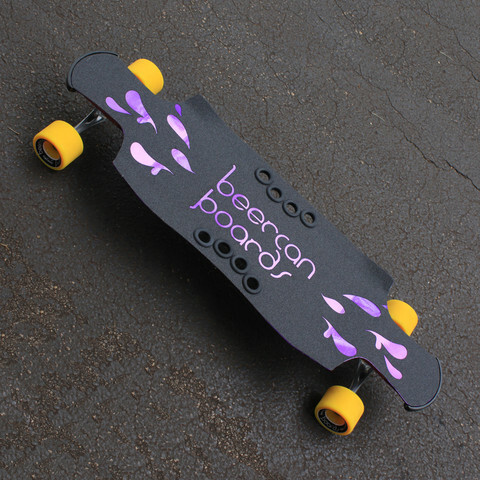 Discover innovative longboard completes from Beercan Longboards! 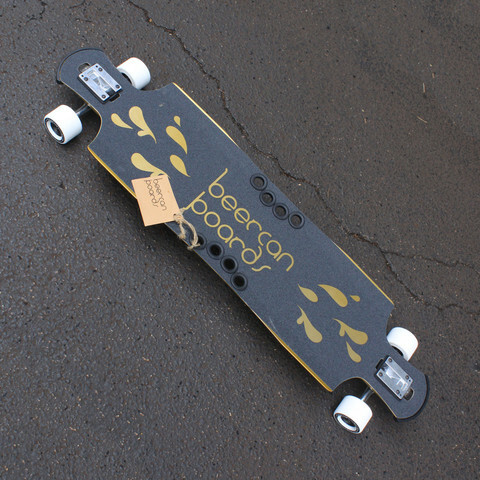 Contact your Plunder Dealer for local pricing! 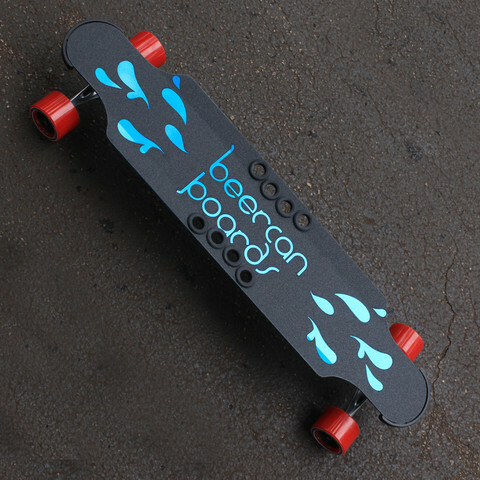 Standard finger holes in each side of the deck allow you to haul your board around easily when you aren’t riding. 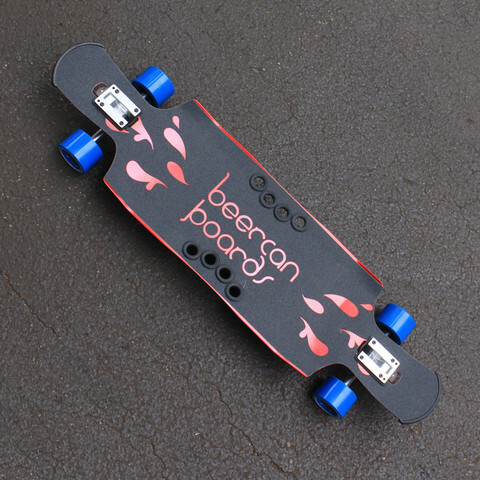 The TruckTrax system allows you to adjust the trucks to your preferred position and lock them in place.